Gord Downie of the Tragically Hip dies. Of course we all knew it was coming but it still seems so sudden. It’s 12 months since that last nation wide televised concert. There have been a lot of tributes on the news last night (Wednesday, 2017/10/18) including a very tearful farewell from the Prime Minister of Canada, Justin Trudeau. Perhaps among the tributes this one below will rank high on the list. “Allan Holdsworth (6 August 1946 – 15 April 2017) was a British guitarist and composer. He released twelve studio albums as a solo artist and played a variety of musical styles in a career spanning more than four decades, but is best known for his work in jazz fusion. Holdsworth was known for his advanced knowledge of music, through which he incorporated a vast array of complex chord progressions and intricate solos; the latter comprising myriad scale forms often derived from those such as the diminished, augmented, whole tone, chromatic and altered scales, among others, resulting in an unpredictable and “outside” sound. His unique legato soloing technique stemmed from his original desire to play the saxophone. Having been unable to afford one, he strove to use the guitar to create similarly smooth lines of notes. He also become associated with playing an early form of guitar synthesizer called the SynthAxe, a company he endorsed in the 1980s. Check the full Wikipedia entry https://en.wikipedia.org/wiki/Allan_Holdsworth for more info. Well, he obviously has a bucket full of credentials so I went to YouTube to get a taste of what he is about. There are lots and lots of clips. This is not relaxing music. It offers very significant challenges for a potential audience and I for one am not sure I am up to the challenge. The one I have selected is interesting because it was recorded April 3, 2017. He died on April 15, 2017. I remember it like it was yesterday. I was ten and learning how to play guitar. In front of me were the lyrics and chords for his song “Suzanne.” I remember thinking, “How does someone write something this beautiful?” It seemed like a miracle to me. So when I got the supreme privilege of sitting down with him myself to talk about songwriting, I told him exactly that. That since I was just a kid, I have been pondering the mystery of “Suzanne” and other miracle songs he wrote. He smiled that warm, gentle Leonard smile when I said this, and did not demur. And in that one answer is the crystallization of this man’s greatness. With just a few words, he gives us humility, humor, reverence, mystery and dedication. Dedication to the mystery itself, to the realm into which all songwriters reach to find their songs. He spoke in parables. Unlike most humans who rarely finish entire sentences, he spoke in perfect paragraphs, with language at once beat and biblical, ancient and modern. Never was this more evident than when I asked him what he thought about the current quality of popular song, and the widespread conviction of many from previous generations that meaningful songs are no longer written. One time I interviewed Anjali, the singer-musician who loved and lived with him for years, and did a whole album of his words with her music. We met at a café in mid-L.A. and the great man himself, Leonard, accompanied her. Of course, being him he knew right away I would be unable to conduct a meaningful interview with him sitting there. So he immediately assured us that he would sit elsewhere while we spoke. We did the interview, and afterwards I made an admission to Anjali. Which was that it was hard to fathom actually living a regular life with Leonard. I did know he was a man, after all, as I told her. But to songwriters, I said, he is a God. Now with his mortal life complete, it seems she must have been right. But there are very few men I have ever known who did what he did. Even when the industry as he knew it essentially collapsed, never did he waver from the thing that mattered most: the work. If it took him seven years to perfect a song, even to the extent of writing forty or more verse, he would take seven years. There was no rush. Nothing mattered more. When he would be up at Mt. Baldy, serving time as a Buddhist monk, he would be working on songs in his head. During his last year, when he was in severe pain and immobilized, he worked on songs. The work never stopped. Songwriting was for him, as miracle songs like “Hallelujah” made so clear, more than a job. It was a calling. His highest calling. And he built a beautiful and indestructible tower of song, brick by brick, day by day, year by year. Like all of his songs, it has been built to last. So, I asked, do any of these things work better than others? Nothing but pure dedication to this art and craft so impacted by his own work. “Dylan blew everyone’s mind when he started,” said the poet Allen Ginsberg. 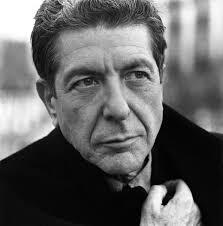 “Everyone except Leonard Cohen.” It’s true. Leonard was on his own path from the start. Never did he sway from the conviction that the only true mission was finding a way to get there, to reach that realm from which the great songs come. It’s where he is now. PAUL ZOLLO is the author of eight books, including several on the craft of song writing. His book Songwriters On Songwriting has been expanded three times and features in-depth interviews with many of the world’s greatest songwriters, including Bob Dylan, Paul Simon, Randy Newman, Laura Nyro, Pete Seeger, Leonard Cohen, Neil Young and Frank Zappa. It has been called “the ultimate book about songwriting” and “the songwriter’s bible,” and is used as a textbook in songwriting courses in many universities. On October 18, 2016, the sequel to Songwriters On Songwriting was published, More Songwriters On Songwriting featuring all new interviews with a vast range of legendary songwriters, including Leiber & Stoller, James Taylor, Loretta Lynn, Elvis Costello, Paul Simon, Randy Newman, Brian Wilson, Matisyahu, Patti Smith, Chrissie Hynde, Kris Kristofferson, John Prine and many more. Special thanks to Doug Mitchell for sending this to me. 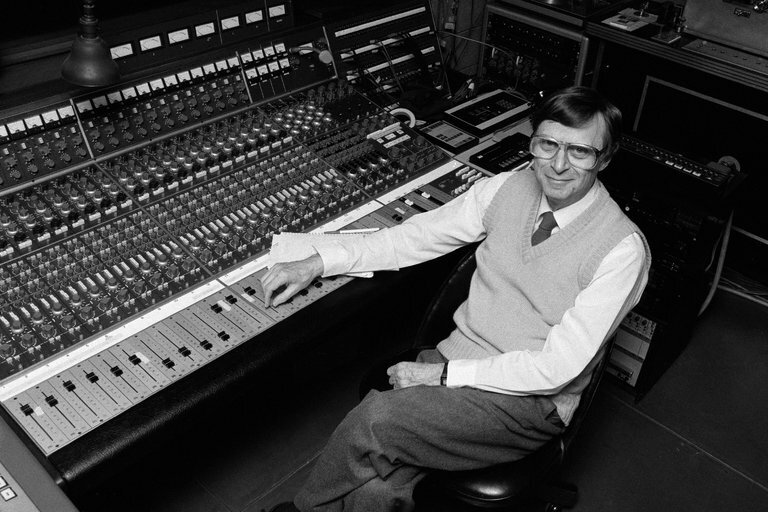 RECORDING ENGINEER RUDY VAN GELDER DIES AT THE AGE OF 92. Only a non-jazz fan would ask “Rudy who?”. Rudy was a renowned recording engineer and the principle sonic architect of the “Blue Note Sound”. A specific sound that is associated with the classic recordings of the golden jazz era of the last 50 years. He worked with many recording companies but is best known for his work with Alfred Lyon’s Blue Note Recording company. He recorded all the jazz greats, including Miles Davis, Thelonious Monk, John Coltrane and just about every other major jazz artist of the past 50 years. He wasn’t always a sound engineer. He trained as an optometrist and that was his “day job”. He went off to work in the morning to his optometry practice to earn his “daily bread” and after hours he spent his time recording jazz. At first in his parent’s living room, then in the iconic studio he designed and built at Engelwood Cliffs in Hackensack, New Jersey. He eventually ditched his day job and became a full time recording engineer. Here is a Wikipedia quote: “When I first started, I was interested in improving the quality of the playback equipment I had,” Van Gelder commented in 2005; “I never was really happy with what I heard. I always assumed the records made by the big companies sounded better than what I could reproduce. So that’s how I got interested in the process. I acquired everything I could to play back audio: speakers, turntables, amplifiers”. One of Van Gelder’s friends, the baritone saxophonist Gil Melle introduced him to Alfred Lyon, a producer for Blue Note Records, in 1953. Within a few years Van Gelder was in demand by many other independent labels based around New York, such as Prestige Records, Impulse and Savoy. Bob Weinstock, owner of Prestige, recalled in 1999, “Rudy was very much an asset. His rates were fair and he didn’t waste time. When you arrived at his studio he was prepared. His equipment was always ahead of its time and he was a genius when it came to recording”. According to a JazzTimes article in August 2016, “jazz lore has formed the brands into a yin and yang of sorts: The Blue Note albums involved more original music, with rehearsal and the stringent, consistent oversight of Alfred Lion; Weinstock was more nonchalant, organizing what were essentially blowing sessions for some of the best musicians in jazz history”. 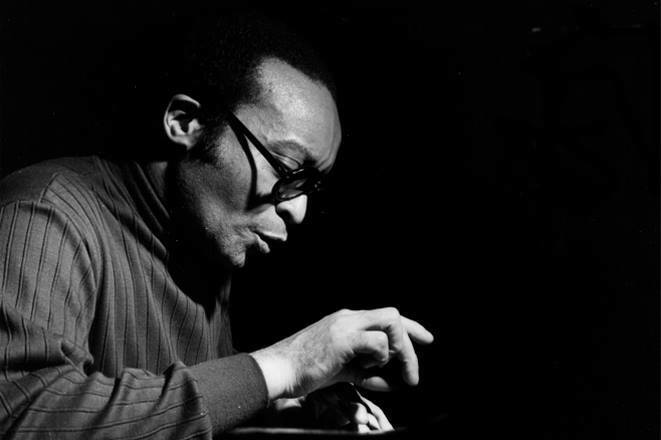 Van Gelder said in 2012, “Alfred was rigid about how he wanted Blue Note records to sound. But Bob Weinstock of Prestige was more easygoing, so I’d experiment on his dates and use what I learned on the Blue Note sessions”. He also worked for Savoy Records in this period, among others. “To accommodate everyone, I assigned different days of the week to different labels”. Rudy was also a pioneer in the development of live “on site” jazz recordings. In the 1950s Van Gelder also performed engineering and mastering for the classical label Vox Records. Thelonious Monk composed and recorded a tribute to Van Gelder entitled “Hackensack”. Van Gelder resided in Englewood Cliffs, New Jersey where he died at his home on August 25, 2016. Three more music legends pass away………. 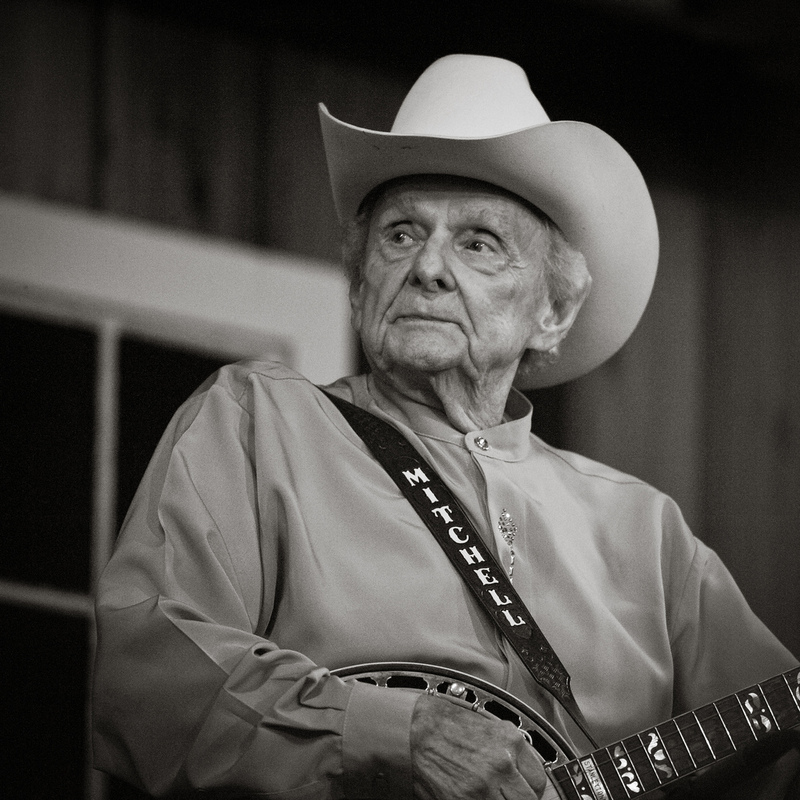 “Ralph Edmund Stanley (February 25, 1927 – June 23, 2016), also known as Dr. Ralph Stanley, was an American bluegrass artist, known for his distinctive singing and banjo playing. Stanley began playing music in 1946, originally with his brother Carter as part of The Stanley Brothers, and most often as the leader of his band, The Clinch Mountain Boys. 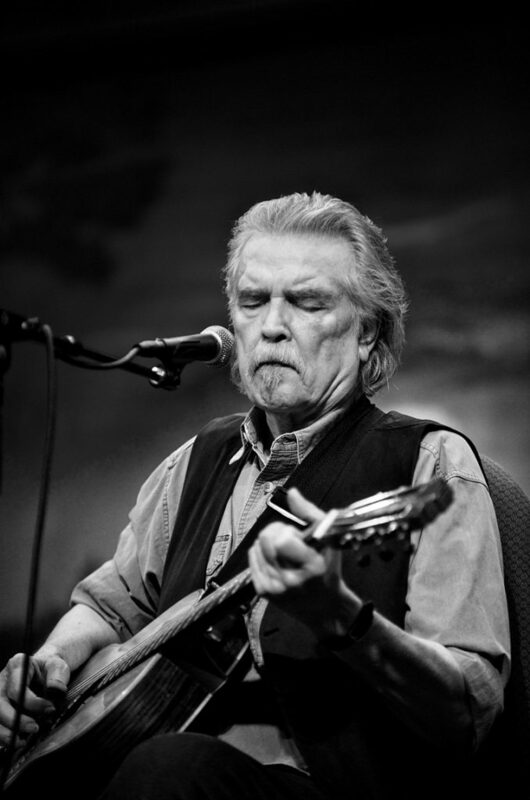 He was part of the first generation of bluegrass and was inducted into both the International Bluegrass Music Hall of Honour and The Grande Ole Opry.” – Wikipedia. To the general public he was probably best known for the sound track of the film O Brother Where Art Thou in which he sings the Appalachian dirge O Death. At the age of 88, following a musical career that spanned 70 year Stanley died on June 13, 2016 as a result of skin cancer. At the age of 74 Clark died in Nashville on May 17, 2016, following a lengthy battle with lymphoma. 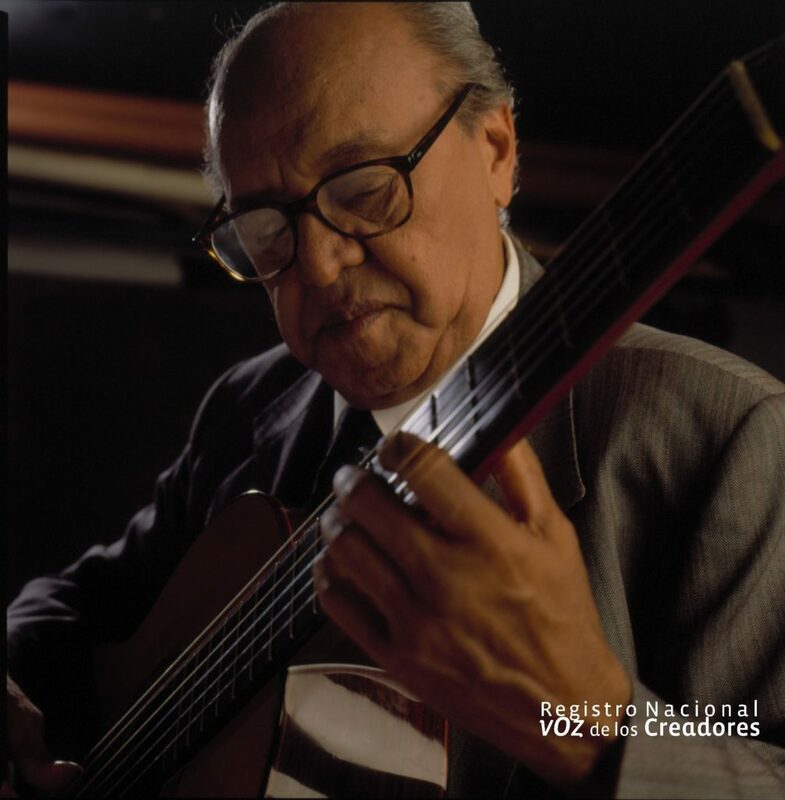 Alirio Díaz (12 November 1923 – 5 July 2016) was a Venezuelan classical guitarist and composer and one of the most prominent composer-guitarists of his country. A guitar competition named Concurso Internacional de Guitarra Alirio Díaz has been held in his honor in Caracas and other cities in Venezuela (the April 2006 contest was held in Carora). Many compositions have been dedicated to Díaz including Spanish composer Joaquin Rodrigo’s Invocación y Danza…. Wikipedia. That short paragraph hardly does justice to the magnitude of his status in the classical guitar world. Prior to him emerging on the scene Andre Segovia was “the man”. Alirio Diaz, John Williams, Julian Bream and others that followed Segovia and were part of the changing of guard in the classical guitar world. Segovia was the bench mark of an “old world” approach to the music. His recordings and performances exhibited a mellow, stately approach that demonstrated that guitar music deserved to be taken seriously. Segovia toured and recorded relentlessly throughout the 20th century and that certainly opened doors for the guitarists that followed. He invented the genre of classical guitar and paved the way for guitarists like Alirio Diaz that allowed them to gain an audience and, ultimately, perform in a different way with an expanded repertoire. Diaz’s sound and technique were way more dramatic than the Segovia school and on the standard pieces like Fernando Sor’s Variations on a Theme by Mozart (“The Magic Flute”) he virtually reinvented the music. I was most fortunate in my youth to attend concert performances by Segovia, Julian Bream, John Williams and Alirio Diaz and the one that left the most lasting impression was Alirio Diaz. At about that same time I acquired a LP called Guitarra De Venezuela that included the following tracks: Recuerdos de la Alhambra / Dos Valses Venezolanos / Guaso / Canción / Quirpa / Asturias / Dos Canciones Populares Catalanas / Minuet / Pavana y Folia / Sonata / Gavota / Fuga / Variaciones Sobre un Tema de Mozart. Here we are a half century later, the recording is still in the catalogue (complete with the original cheesy cover) and is still probably the finest recording of classical guitar music out there. One of his most notable achievements was the introduction of the music of Antonio Lauro (a fellow countryman) to a wider audience. The Valses Venezolanos are part of the modern day standard repertoire. You may have a perception of waltzes as being some what stately affairs, that will change once you hear the Venezuelan waltzes of Antonio Laurio. Paul Bley and Pierre Boulez – not really famous but ……. There are entertainers who are just that – entertainers. There are entertainers who are musicians and musicians who are entertainers. Sometimes it is hard to tell exactly which is which. Then there there are musicians who are just that – musicians. Then again there are those musicians who go beyond the accepted artistic norms of their era and create their own categories. Two such musicians are the Canadian Jazz Pianist Paul Bley and the French modern classical composer Pierre Boulez. Both of these exemplary musicians passed away this month (January 2016). Paul Bley is a Canadian Jazz Pianist born and raised in Montreal. He was essentially a child of the Be-bop era who performed with some of the jazz greats of the era (including Charlie Parker). He started studying violin at 5 and piano at 8, and as a teenager began playing piano professionally as Buzzy Bley. In 1949, as a senior in high school, he briefly took over Oscar Peterson’s job at the Alberta Lounge in downtown Montreal. Mr. Bley left for New York in 1950 to attend the Juilliard School of Music. During his early years there, he played with the saxophonists Lester Young and Ben Webster. Keeping a hand in his hometown jazz scene, he helped organize the Jazz Workshop, a musician-run organization in Montreal that set up out-of-town soloists with local rhythm sections; in February 1953 he booked Charlie Parker for a concert and accompanied him. That concert was recorded, one of his first extant recordings before his first album as a leader, made nine months later with a trio that included Charles Mingus on bass and Art Blakey on drums. 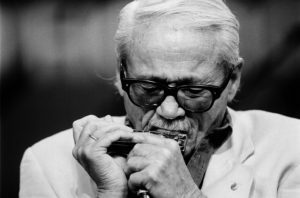 Through the mid-’50s, he was an adept bebop player with a spare style. As he matured he went further afield in his musical explorations to become involved in what became known as “free form jazz”. In my opinion, what set him apart from the frenzy and frantic performances of other “free form” artists was a more melodic and measured approach. 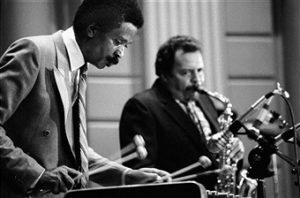 During his time in New York playing with the saxophonists Albert Ayler and Sonny Rollins, he defined as well as anyone the blurry line between the scratchiness of free improvisation and the virtuosity of the jazz tradition. His solo performances are said to have had a significant impact on the extended solo performances of Keith Jarrett. He often talked about being eager to get outside his own habits. In the 1981 documentary “Imagine the Sound” he professed not to practice or rehearse, out of what he called “a disdain for the known.” He did not stake his work on traditional notions of acceptability, or the approval of the listener. With that particular musical philosophy it is easy to see why he is not a household name even in his own country. Paul Bley was appointed a member of the Order of Canada in 2008. Although I don’t have an extensive collection of his music I do treasure and enjoy the recordings he made in 1961 (Fusion and Thesis) with the Jimmy Giuffre 3 (Jimmy Giuffre on Clarinet, Paul Bley on Piano and Steve Swallow on Double Bass). The albums were re-released as a double CD by ECM records in 1992. For that I am forever thankful. Another CD of interest is the 1993 duo recording he did with fellow Canadian, saxophonist Jane Bunnet called Double Time (released by Justin Time). Although Jane is better known for her extensive explorations of Cuban music the album shares some of the “spacey” textures of the Jimmy Giuffre 3. I am sure these albums are only the tip of the iceberg. Here is an audio clip from the Jimmy Giuffre recordings and a clip of Paul Bley in an interview. To be honest I am more familiar with his reputation than with his music. Classical music of the 20th century was mostly overshadowed by the music of the Romantic Era and that made it extremely difficult for musicians and composers who tried to create a new vocabulary. 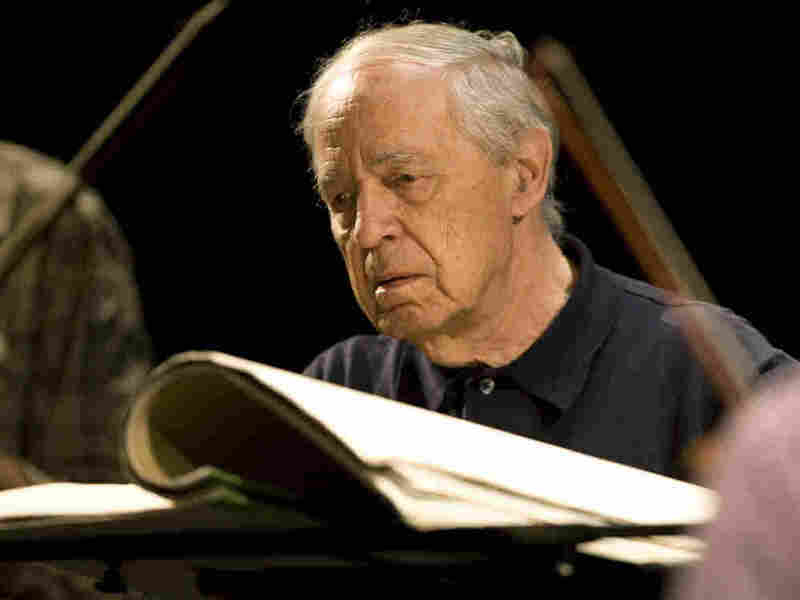 Pierre Boulez was one of a number of musicians trying to create a “new music”. Among concert goers “the new music” tends to alienate audiences and it is only though the dedicated efforts of musicians like Pierre Boulez that the music moves forward and, possibly in time, develop a dedicated audience. This short YouTube video of his most famous composition LE MARTEAU SANS MAITRE will give listeners some idea of the challenges they face when exploring the music of Pierre Boulez. This is not your typical symphonic fare. These two musicians may not be well known and they played music that, by and large, most audience would chose to ignore. However, they have demonstrated that there is more to music than three guitars and a back beat. Last, but not least it was the year that Ornette Coleman exploded onto the scene with his album The Shape of Jazz to Come. It wouldn’t be too hard to arrive at a majority consensus on the first three albums but Ornette Coleman’s contribution to the jazz lexicon and the innovations of The Free Jazz Movement was controversial in 1959 and here over fifty years later the dust has not yet settled. Randolph Denard Ornette Coleman (March 9, 1930 – June 11, 2015) was an American jazz saxophonist, violinist, trumpeter and composer. He was one of the major innovators of the free jazz movement movement of the 1960s, a term he invented with the name of an album. Coleman’s timbre was easily recognized: his keening, crying sound drew heavily on blues music. He was awarded a MacArthur Fellowship in 1994. His album Sound Grammar received the 2007 Pulitzer Prize for Music …….. From the beginning of his career, Coleman’s music and playing were in many ways unorthodox. His approach to harmony and chord progression was far less rigid than that of bebop performers; he was increasingly interested in playing what he heard rather than fitting it into predetermined chorus-structures and harmonies. His raw, highly vocalized sound and penchant for playing “in the cracks” of the scale led many Los Angeles jazz musicians to regard Coleman’s playing as out-of-tune. He sometimes had difficulty finding like-minded musicians with whom to perform. 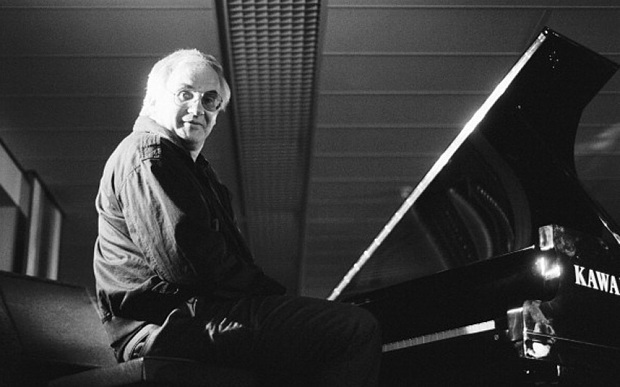 Nevertheless, Canadian pianist Paul Bley was an early supporter and musical collaborator. In 1958, Coleman led his first recording session for Contemporary, Something Else!!! 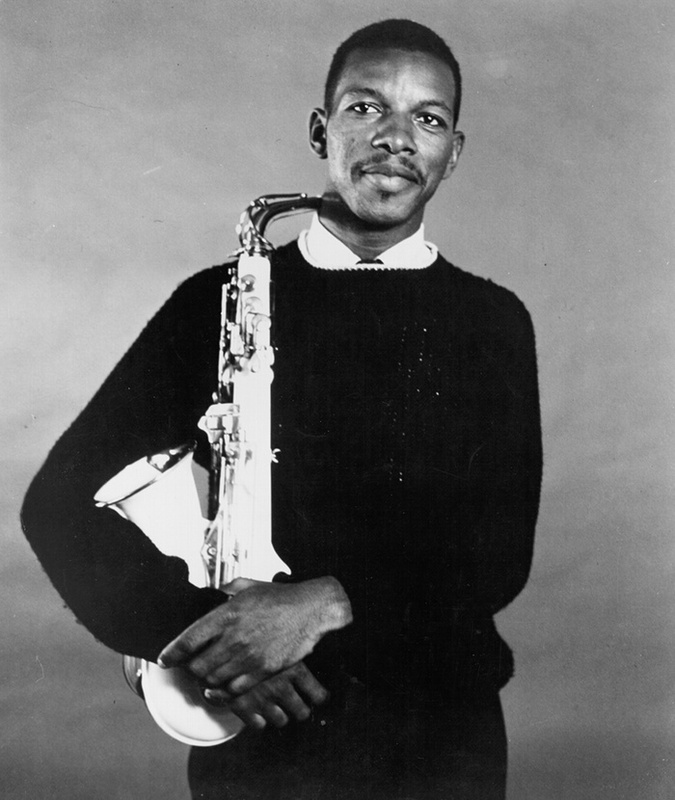 The Music of Ornette Coleman….. Wikipedia. In 1959 he followed that up with a series of albums and engagements in New York that literally hit the jazz world like a tornado. Coleman was never really accepted by the mainstream jazz world. Most patrons and a significant percentage of musicians shied away from his music. There were exceptions of course. John Coltrane, John Lewis, Pat Metheny, Charlie Haden, Lou Reed, The Grateful Dead and Don Cherry were among his champions. However, they were the exceptions. However his influence and statue continued to grow throughout his career.